NW Italy is very cool because many Italian products, objects and national symbols were born in Turin or in other towns of Piedmont (un)fortunately, very few people are aware of it! For example, Turin was the very first capital of Italy back in 1861 and despite all it still pretty much preserves all its royal heritage, understated elegance and charm. Look! Today we're talking about cheese because besides France, Italy is also a large cheese producer! Can you guess how many different types of cheeses are produced in the boot? 403 kinds which means you can taste a different cheese every single day of the year and still have some more to enjoy the next one! 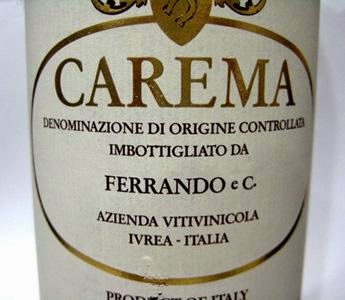 Happy Wine Wed with Carema! a refined DOC wine whose production is allowed only in the Turin province and that you can hardly find outside of Piedmont (as many of the high quality wines we'll talk about) because, as anything precious, it is not produced in bulks!